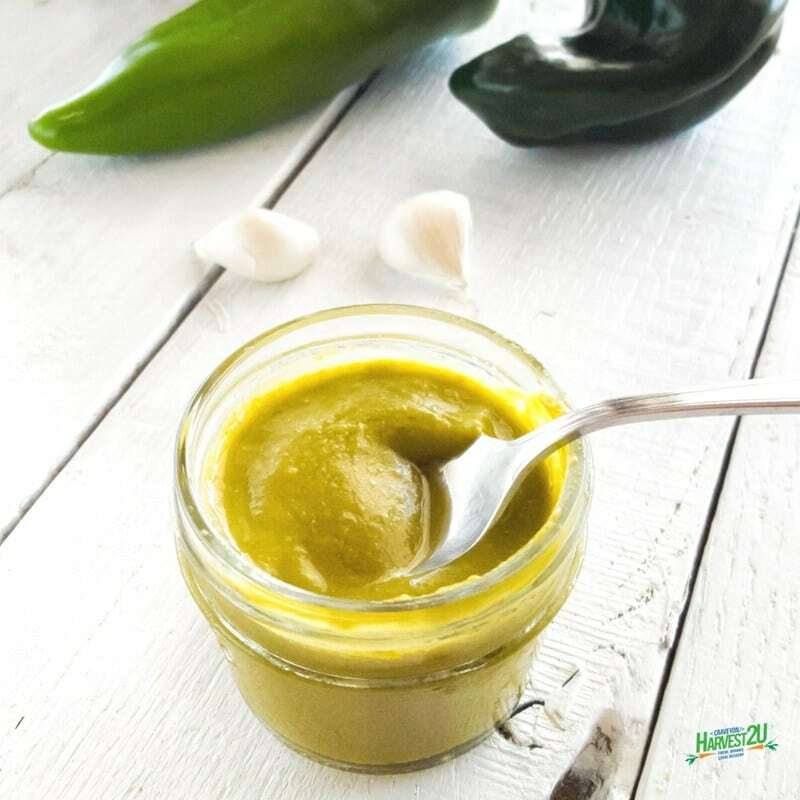 This Green Pepper Hot Sauce is milder than most red Louisiana style hot sauces because the peppers used are milder. If you want it spicier, add spicier peppers like cayenne, serrano, and habanero. All varieties of peppers are excellent sources of vitamins A and C, potassium, folic acid, and fiber. Hot peppers are loaded with capsaicin, a chemical compound with strong antioxidant properties. The hotter the pepper the more capsaicin. Scientists are studying the effects of capsaicin to fight everything from the common cold to cancer. While they figure that out I am just going to enjoy the taste and sinus-clearing effects. Let the pressure in the pressure cooker drop naturally, no quick release for safety. 2 pounds green peppers such as jalapeno, poblano and Anaheim. Wearing rubber gloves, chop the peppers into large pieces and put into the pressure cooker. Cook at high pressure for 5 minutes and let pressure release naturally. Puree the peppers using an immersion blender, or do it in batches in a blender or food processor. Place a metal sieve over a bowl and strain the sauce of any solids. Pour sauce into mason jars or condiment bottles. Mason jars can be processed in a water bath canner for 10 minutes for long-term storage. Makes 2 1/2 to 3 cups (about five 1/2 cup mason jars).